We all have places that have a special pull and a special meaning to us. Jackie makes your favorite spot into a piece of jewelry that you can wear every day. If you love being outdoors, exploring new places, have a cabin on a lake, live at the foot of a mountain, take road trips every year, or just have a special place in mind, let her make it for you! Each and every piece is designed, hand cut (not lasered! ), fused, and finished by hand. 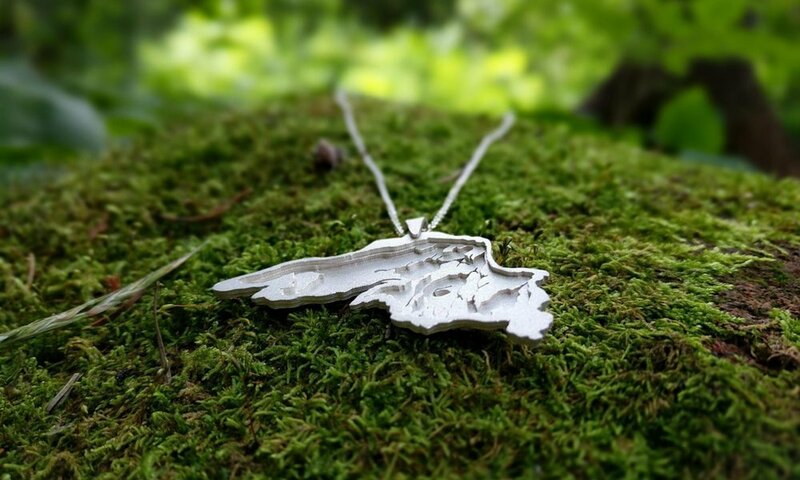 The Goods :: handcut silver geographic jewelry.